Chicago is equal parts haute couture and bizarre Americana, a quality reflected in its literary scene. Chicago is also expansive and writers here do have fairly catholic tastes. There are also so many of them, it would be impossible to name them all here. 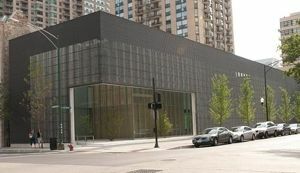 Chicago has no shortage of well-established institutions of learning, as well as the newly formed and the genuinely innovative. 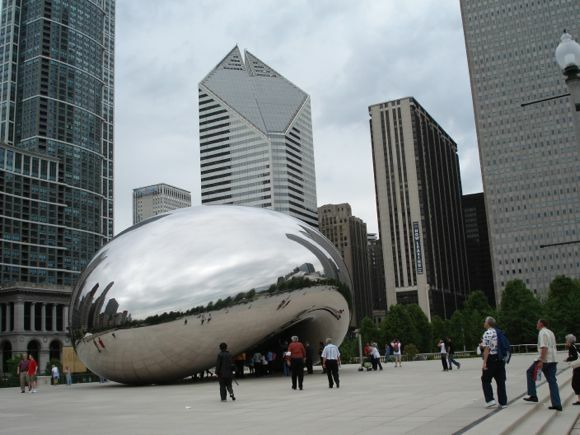 The Chicago School of Poetics, for example, offers affordable online poetics classes, as well as on-location poetics classes at the Cultural Center of Chicago—located at 78 E. Washington Street just across from the massive and very silver Cloud Gate outdoor sculpture at Millennium Park. 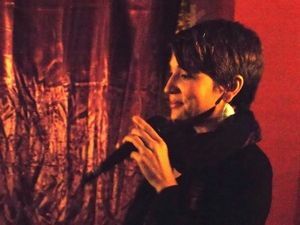 In addition to that there are classes in creative writing offered on the northside, southside and all points in-between. Chicago loves poets and the teaching of poetry and fiction at venerable institutions such as Chicago State University; the cultural hub that is Columbia College Chicago; the well-respected DePaul University in trendy Lincoln Park; Loyola University Chicago on the north side, on the lake, and in the progressive and diverse neighborhood of Rogers Park; Roosevelt University; the multi-disciplinary School of the Art Institute of Chicago; the tweedy and world-renowned University of Chicago; and the University of Illinois-Chicago, which has a faculty comprising numerous established, talented writers of poetry and fiction. One of my favorite bookstores, The Armadillo’s Pillow in Rogers Park, allows patrons to lounge comfortably in many an odd shaped chair; you’re bound to find many quirky treasures there. If Chicago has seen bookstores struggling in the past few years, business seems booming now. The flâneur and Romantic in you will find that hours disappear like mere seconds while pausing among the stacks in shops like Barbara’s Bookstore; Lincoln Square’s Book Cellar; the colossal Harold Washington Library, which is replete with massive forbidding green gargoyles; Myopic Books, which is known for its long-running poetry series and three floors of amazing finds; the Newberry Library, which is celebrating its 125th anniversary; Open Books; Powell’s Bookstore; Quimby’s, which stocks a glut of graphic novels, comics, and magazines; the Read/Write Library Chicago; the iconic Seminary Co-Op in Hyde Park; and Andersonville’s solid little corner bookstore Women and Children First. 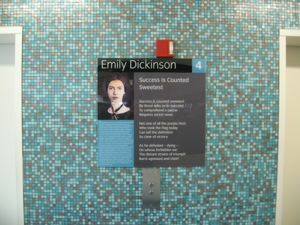 Chicago has matured beyond its “big-shoulders” phase and, now famous for the page as well as the stage, is home to many independent and established presses publishing poetry and fiction in journal and book form. From letterpress editions to large, glitzy hardbound editions, in Chicago publishing runs the gamut, and the tastes are as encyclopedic and varied as Chicagoland itself. This is by no means a comprehensive list: some journals and presses include After Hours, Another Chicago Magazine, Chicago Publishes, the seminal Chicago Review, the letterpress wonder Convulsive Editions, Columbia College’s journal Court Green, Cracked Slab Books, Dancing Girl Press, Fifth Wednesday, Flood Editions, Make Magazine, milk magazine, Poetry, Rhino Magazine, and Say What. 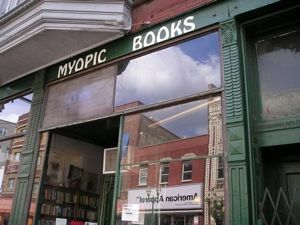 Larry Sawyer has curated the Myopic Books Poetry Reading Series in Wicker Park, Chicago since 2005 and has hosted readings there nearly every weekend that have included poets such as Eileen Myles, Ron Silliman, Cole Swensen, and Bernadette Mayer, as well as many Chicago-area poets. He was chosen as Best Poet in Chicago by The Chicago Reader in its 2012 Best of Chicago Readers’ Poll. 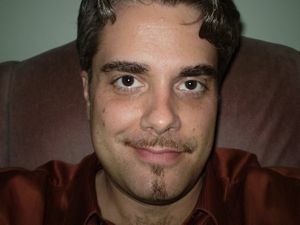 He is co-director of The Chicago School of Poetics. His collection Unable to Fully California is available on Otoliths Press. Sawyer also edits milk magazine (since 1998). 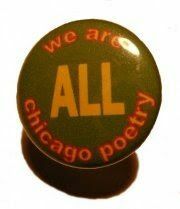 His work was anthologized in The City Visible: Chicago Poetry for the New Century (Cracked Slab Books).